Rolling Stone just named Charli XCX's Sucker album as the Best Pop Album of 2014. Billboard listed her at #2 on their list. And she capped off the year with a Grammy nomination. 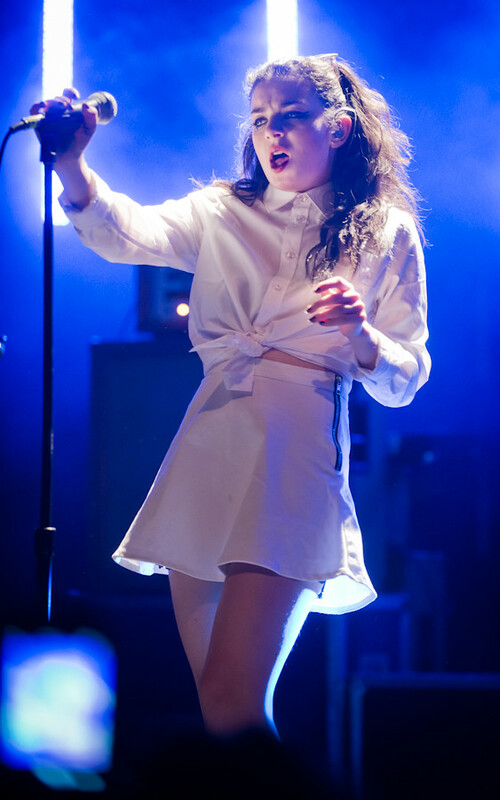 2014 was certainly a breakout year for Charli XCX (aka: Charlotte Emma Aitchison). From all-star collaborations with Iggy Azalea on this year's biggest hit "Fancy," to personally being handpicked by Lorde to collaborate on The Hunger Games: Mockingjay Part 1 soundtrack, Charli XCX is certainly in high demand. That demand has seen her songs sell over 14 million copies in the past 19 months. And what better way to kick off the new year with a new collaboration. Her new video, released today, is for her song "Doing It" featuring Rita Ora. It's a tribute to "Thelma and Louis" as the two partners-in-crime cruise the desert in their dirty, pink, old truck robbing stores and being chased by cops. “Rita is just someone who I get. She has so much to give as an artist and a person, she knows how to be a real and have a wild time," says Charli. " ‘Doing It’ was something I played to her ages ago and she loved it, so I thought I should definitely get her on it." It was actually during this shoot that Charli revealed the two almost died during filming when she crashed the monster truck in the desert. "I nearly killed both of us on the set by crashing this Barbie truck into the middle of the desert," Charli XCX tells Metro. "There were no air bags. It was this old truck. It was a death-trap! But we made it out alive and the video is so great..."
Next up for Charli? She heading on the road with Katy Perry supporting Katy on her arena tour in February and March. After that she'll perform at London's prestigious Shepherd's Bush Empire and then New York's Governor's Ball. 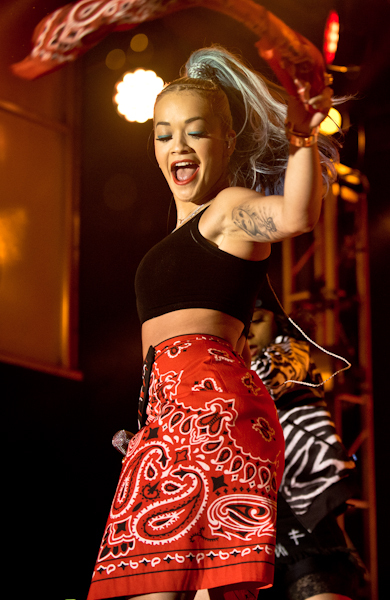 Check out the official music video for "Doing It" featuring Rita Ora below.